Sew Vac Direct is committed to our customers, community and country. organizations both public and private. We do not donate to for profit businesses, individuals or organizations seeking items for silent auction fund raisers. 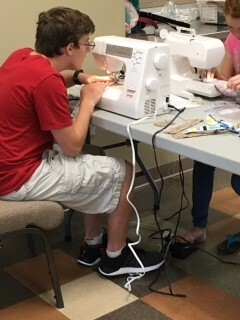 While online researching which serger to purchase one company mentioned that they donate machines to organizations that help underprivileged groups while at the same time to encourage the love of sewing! The application forms were completed and the anxious waiting began. 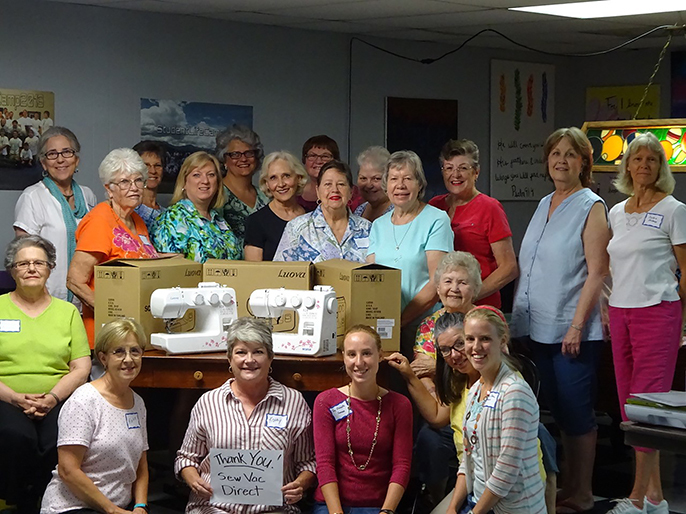 A few weeks later we received the news that SewVacDirect had decided to donate not one, not two machines but TEN brand new sewing machines and a Janome serger to SVA’s Sewing for Service Club! We used the new machines for the first time on October 18th. 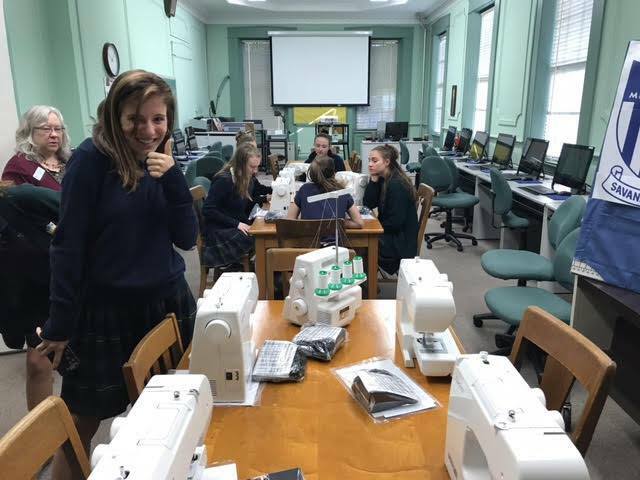 The room was filled with happy students learning the new machines that hummed along with no distressing sounds of thread breaking or bobbins jamming. 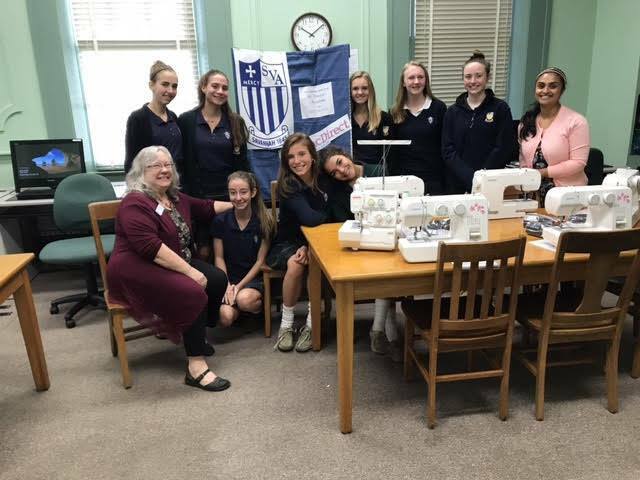 We all would like to thank all our donors for making this the most exciting year for SVA’s Sewing for Service Club! 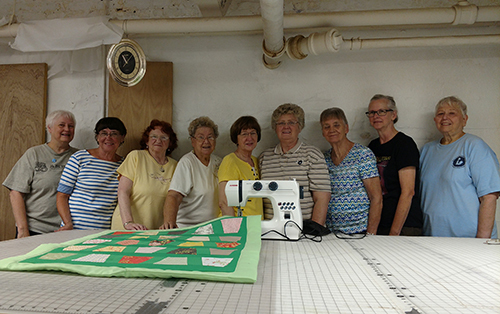 My Piece Makers were so very thankful for the sewing machines you donated to our sewing/quilting group. 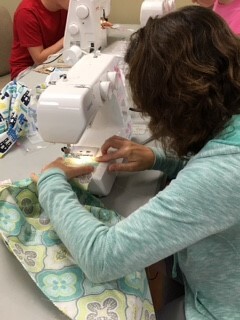 We will all be able to have a machine to sew on at meetings now! We are pictured below minus a few out on vacation at our meeting today. This picture will be going in our September church newsletter. You have been a blessing to our ministry! It has been a fun summer. 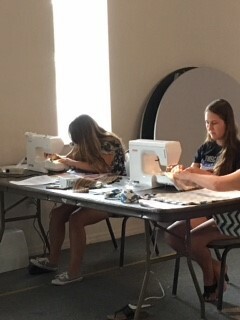 We sewed with the teens 4 times. 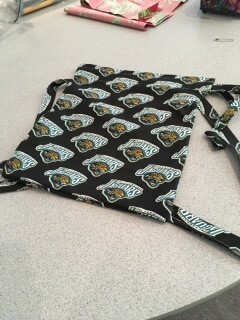 They made backpacks for kids that are removed from their homes for safety reasons. They will be filled with personal items , as these children rarely can take their personal things with them in these situations. The teens decided on this project. We hope to continue this mission during the school year . We are so thankful for your support to us. We love our new machines. Thank you. We are all thrilled with our new Janome sewing machine. Your commitment to helping those who are helping others is amazing. Thank you from Steady Stitchers.